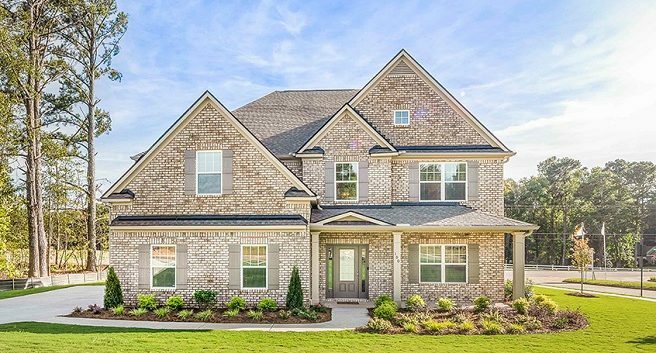 Heatherland Homes is excited to announce that three of its communities – Marvelle, Logan Park and Arnold Estates – are on tour during the 2019 Atlanta Parade of Homes. Hosted by the Greater Atlanta Home Builders Association (HBA), the parade features approximately 40 homes throughout the metro Atlanta area, many of which are decorated model homes. The Atlanta Parade of homes is a free and self-guided event that is open to the public the weekends of April 27-28, May 4-5 and May 11-12 from 10 a.m. to 6 p.m. each day. This gives interested home buyers three full weekends to visit homes. The Atlanta Parade of Homes presents a unique opportunity to choose the exact location, home design and designer options buyers want for their new home, as most entries are available for purchase. 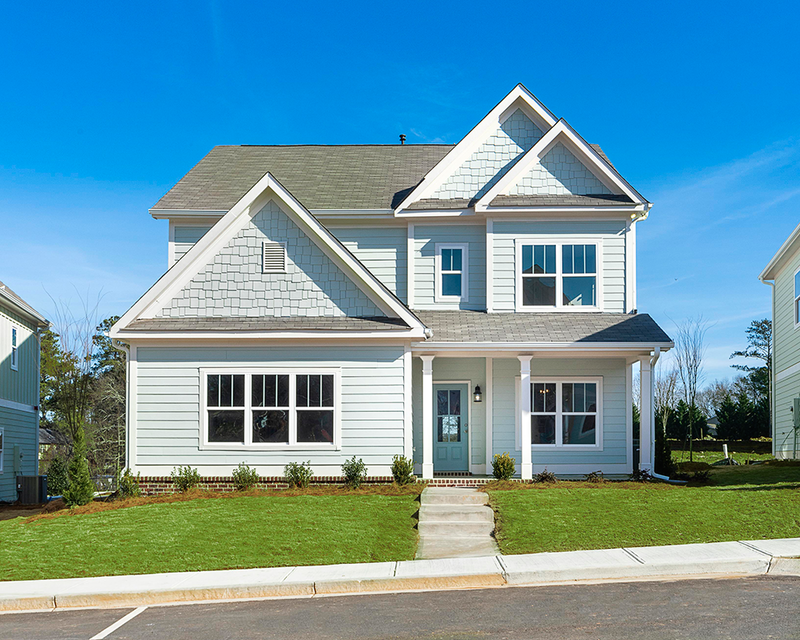 Arnold Estates in McDonough features the beautiful Cobalt home plan with six bedrooms, including a guest suite on the main floor, an open living area conducive to entertaining or relaxing with your family, and plenty of flexible living space that can be designed to fit your lifestyle. The upstairs features an oversized luxurious master suite with cozy fireplace, large master bath and his and her walk-in closets. Downstairs, this large, open concept offers a spacious family room with shiplap accent wall and fireplace and separate dining for entertaining. Priced from the high $200,000s, Arnold Estates is just 30 minutes from Hartsfield-Jackson Atlanta International Airport and just off of Interstate 75. Marvelle, located off the Square in Marietta, showcases the Marion home plan. The Marion is a bright and open floor plan featuring four bedrooms and two-and-a-half baths. The designer kitchen with granite countertops overlooks the family room perfect for entertaining. Upstairs, the oversize master suite features a sitting room and luxurious master bath with granite and his-and-hers vanities. The rear-entry garage adds to the quaint streetscape with fully sodded and landscaped front yards with sidewalks. Priced from the high $200,000s, Marvelle offers single-family plans on slabs and with basements. Townhome plans will be available later this year. Marvelle is located within walking distance to the Marietta Square. Logan Park in East Cobb makes a statement with the Cooper model home which has a spacious courtyard design with a finished third floor. The designer kitchen is open to the family room and features a double oven, French door refrigerator and hidden pantry. The elegant master bath has a large shower and freestanding tub, while the finished third floor is an awesome teen suite with living room, bedroom and full bath. The home offers expansive closets in every bedroom. The backyard is accented by a large deck for entertaining. Priced from the low $400,000s, Logan Park offers a prime East Cobb location walkable to Kell High School and East Cobb Baseball. To learn more about Heatherland Homes’ entries into the 2019 Atlanta Parade of Homes, contact 770-502-6230. For a complete list of builders and entries into the Parade, visit www.ATLHomesParade.com. Download the ATLHomesParade app to map out your self-guided tour of homes. For more information, follow #ATLHomesParade on social media for updates. The HBA thanks 2019 Atlanta Homes Parade sponsors. Reception Sponsor: Samsung. Presenting Sponsor: Regions Mortgage. Supporting Sponsors: KNOCK, O’Kelley & Sorohan, Centricity. Media Sponsors: Atlanta’s Best New Homes TV, KNOWAtlanta, New Home Guide, Atlanta Real Estate Forum, Atlanta New Homes Directory, Creative Thunder Design and Denim Marketing.